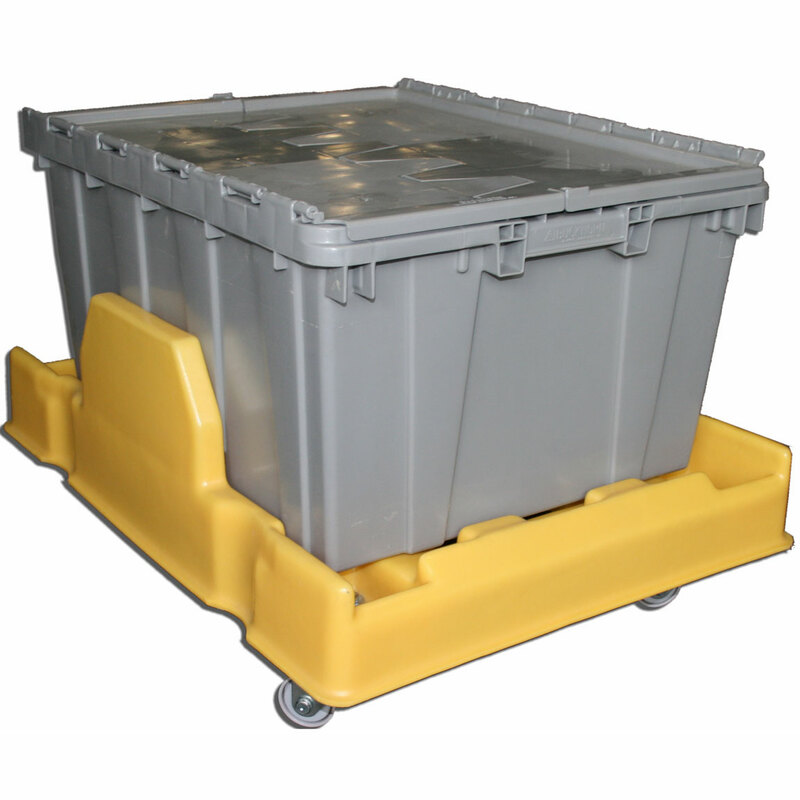 The DOL Series DOL-2420 Plastic Dolly for 24 x 20 Attached Lid Container is a dolly for attached lid containers and other totes. Heavy duty, crack proof, polyethylene molded part. Ships fully assembled with stainless steel hardware and swivel casters. Ideal for retail, distribution and warehousing operations. Custom sizes also available. 24 x 20" model. Inner Dimensions (ID) (LxW) 24 x 20"